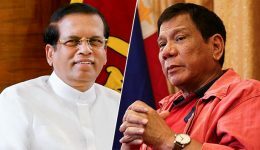 The Philippines and Sri Lanka signed five agreements during President Maithripala Sirisena’s state visit to the country. The International Monetary Fund will resume discussions with Sri Lanka in February for further disbursal of part of a $1.5 billion loan, the lender said, after a political crisis led to talks being delayed by three months. The International Monetary Fund says it will continue to support the government’s economic reform agenda. 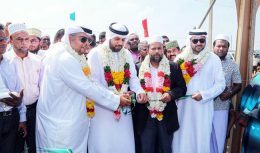 A total of 120 houses built in Sri Lanka with Emirati aid have been given to displaced families in the north.